Here are the best stand-up specials of 2017 so far. There have been a lot of stand-up specials already this year—more in the first six months of 2017 than the entirety of most other years, in fact. Remember, we are not so far away from a time, earlier in the decade, where it seemed like self-releasing was going to be the future of stand-up specials. That, thanks largely to the streaming sites, has changed. This is where I mention Netflix’s plan to release a new special every week this year. And it’s not only the quantity, it’s who: Louis C.K., Sarah Silverman, Amy Schumer, and, yes, Dave Chappelle. That said, other outlets, streaming and not, have continued to release high-quality specials. One non-Netflix release currently stands as the best of the year to date. So that’s the state of things. Which have been the best—the most demanding of your attention? Like Vulture’s other Best of 2017 (S0 Far) lists, this one is unranked, though I went a little rogue and separated the entries into two tiers. We are following an election year and the election of Donald Trump, so it’s not a surprise there has been such a rise in topical comedy. It’s against that backdrop that Jen Kirkman’s special is so, well, special. 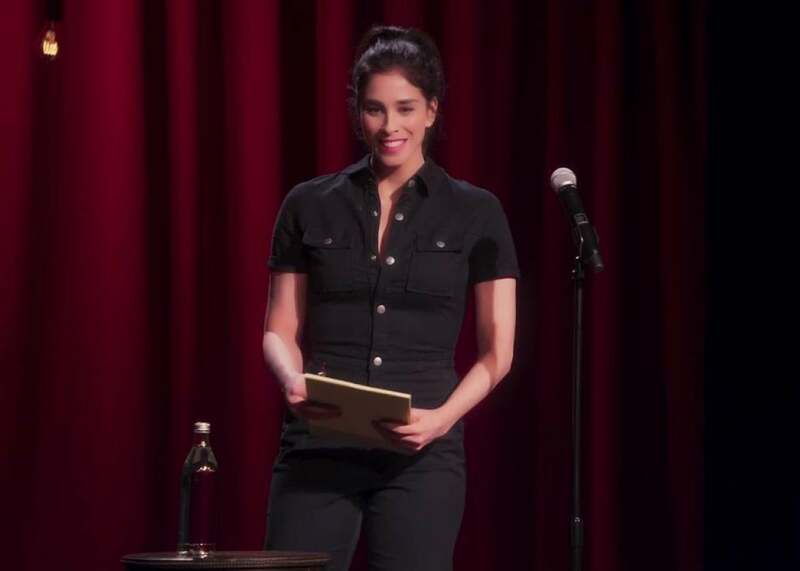 Her comedy thinks globally but her act is local—focusing on herself and the aggressions she faces in her daily life, as opposed to the names and actions of specific people with access to our tax dollars. Her dealing with street harassment, which was the subject of an early episode of Good One, might be the single best chunk of the year. In her comedy, Bamford guides the audience through a world of her own design. As a result, what she did with Old Baby—cutting between her performing in front of different audiences of increasingly larger size—didn’t feel like some cheap alternative-comedy gimmick, but something organic and lived-in. Bamford has a wholly original mind, and as she continues to perform, it’s so exciting to see how she gets better at translating it to her audience. There is only one Maria Bamford, and you feel lucky to get to spend an hour having her show you around herself. In his one-man show, Brennan cleverly deconstructs the form—with one mic for stand-up, one for one-liners, and one for personal material. Beyond being really interesting to look at staging-wise, it allows him to play with tone. He goes as personal and introspective as any stand-up ever has, and sometimes he doesn’t need to end with a joke, because the audience knows that he is at the personal mic and the comedy will come when the switch happens. Though this isn’t what the title means, when I see it, I picture a cartoon shrimp wearing sunglasses lying on a hammock. That’s Al Madrigal for ya—kinda, not really. The point is, Madrigal takes a relaxed pace with his stories, confident in their ability to entertain regardless of their bit-per-second ratio. To watch Madrigal is to see a comedian assured in his art.